Searching for the right fire pit can feel like you're being sucked into a black hole � but worry not! 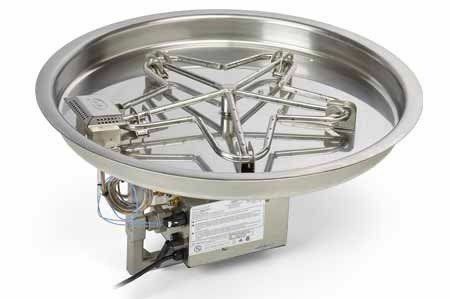 Heath Control Products offers a shining star solution with the 31" Fire Pit Insert with 24" Penta Burner with Hi/Lo Flame Adjustment - 24 Volt.. With a 24" star-shaped burner in a 31" stainless steel round bowl, this fire pit has a maximum BTU output of 200,000. It also features adjustable high to low flame settings, weep holes for drainage, and includes a remote control. Become a star in your own right with this great fire pit from Hearth Controls Products.